We slowly made our way south, frequently stopping to drop our lines onto good marks. 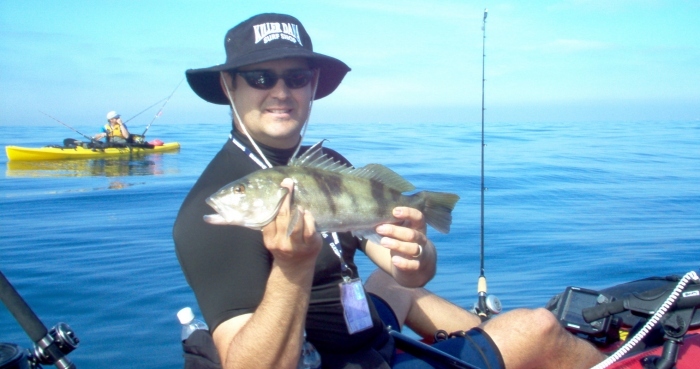 Grego soon hooked up with a couple of sand bass and one short halibut. Others were teased by bites that didn't stick. None of us were particularly quick to paddle away from biting fish. Who could blame us for lingering? After experiencing rough seas on prior trips, finally we were blessed with nearly ideal weather for a long paddle, although there was some swell and the surf crashing big on the beaches. 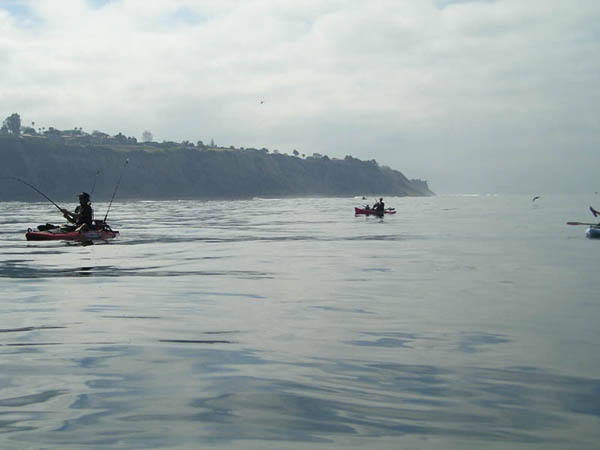 As usual, intrepid kayak angler Defjack set the pace, ranging far forward of the group. Eventually we came to the northern edge of the peninsula. Here the cliffs were nearly sheer. Big aquamarine rollers crashed onto the shore, trailing veils of spindrift. Outside the break zone the sea floor was littered with rocky reef structure that occasionally erupted into boiler rocks. Eagle Eye and Yakslam hunted down a few sand bass before we continued on our southerly course while the rest of us continued to draw short bites. Hours passed as we leisurely continued south, stopping to fish any interesting water or structure and marveling at the scenic beauty. 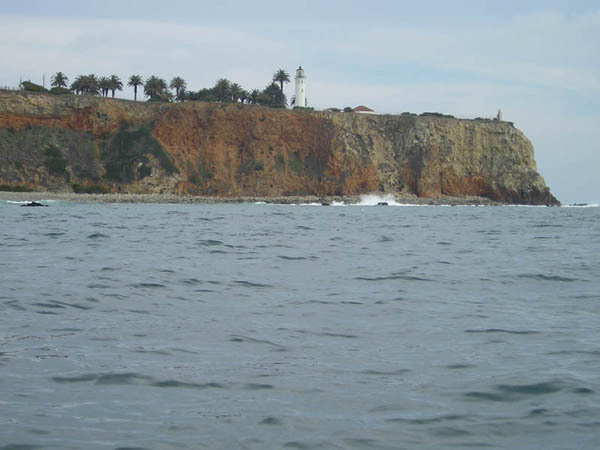 We rounded Palos Verdes point, where rusting iron plates mark the graveyard of the Liberty ship Dominator, and continued to the broad mouth of Lunada Bay. 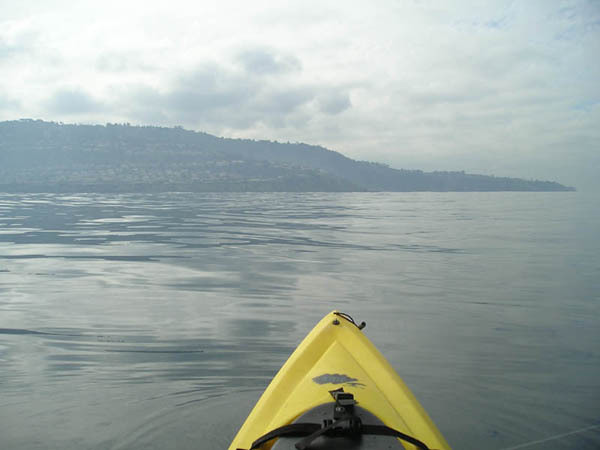 According to the guidebook Adventure Kayaking: Trips from Big Sur to San Diego, the bay is normally a placid spot. On this day immense waves ten feet high and up were breaking across the entire length of the bay mouth. 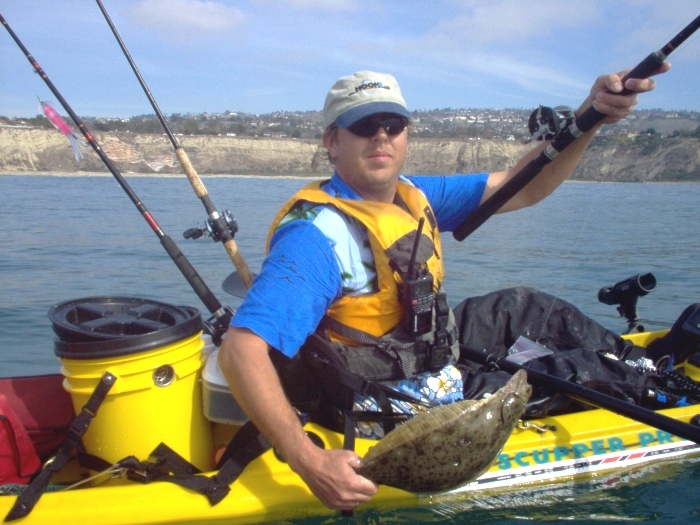 Since moving in shallow to target halibut was out of the question here at our halfway point, we did what any avid kayak fishermen would do. We fished the accessible area hard. Grego had a mystery fish rip line before coming unbuttoned. 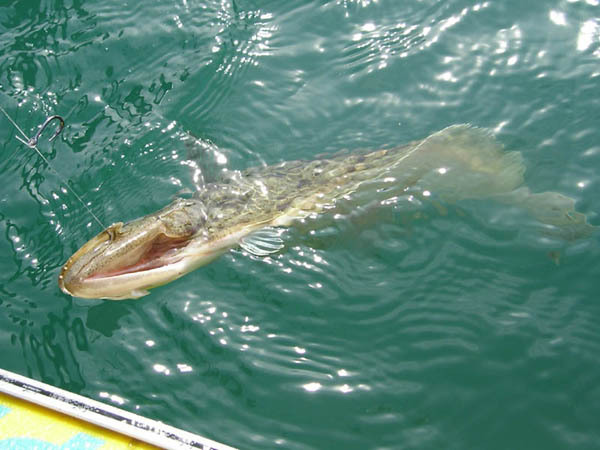 Could that big fish have been one of the white sea bass rumored to be in the area? We’ll never know. Jason and Yakslam worked one drift leading up to a giant boiler over and over using live bait. Each time their baits were bit but nothing big ever stuck, just short halibut. They were determined to catch a larger fish or two but unfortunately time ran short . In the meantime Defjack and Grego had ranged far ahead. Eagle Eye and I followed, with Yakslam and Jason far to the rear. In pairs we approached Point Vicente, the scenic highlight of the trip. The point is guarded by a beautiful lighthouse built in 1926. At the point the peninsula makes a 90 degree turn to the east. We navigated through the converging current and reflected swell off the point, where we were rejoined by Jason and Yakslam. A series of rocks extending hundreds of yards offshore from the point sang a seductive siren song. Several of us were tempted to thread our way between the rocks but chose not to after watching a large set of waves sweep across their entire length. When paddling an exposed coast it is best not to take unnecessary risks.